You and the elusive Newt Scamander have more in common than you think. Even though you're not a wizard recapturing magical beasts in 1920'sLondon, you're still a very busy guy. You've got priorities, plans and daily responsibilities to tend to, so dressing comfortably, weather-appropriately and stylishly are your top apparel concerns. (Thankfully, you don't have to worry about fleeing from a charging Erumpent, unlike Newt, so thank your lucky stars.) 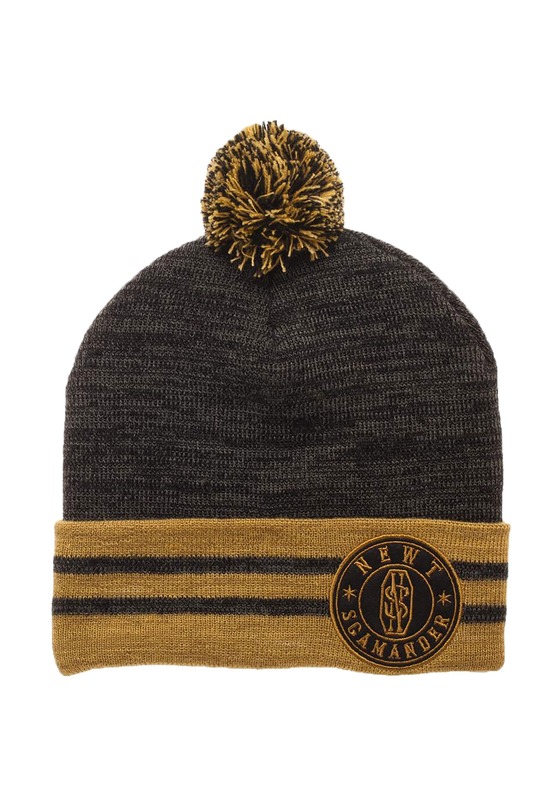 The Newt Scamander hat, officially licensed from Fantastic Beasts and Where to Find Them, is everything one could want from a cold-weather accessory. It's fashionable, durable, and even the baldest noggins stay nice and toasty. Plus, adding a magical-themed accessory to any ensemble is never a bad idea! 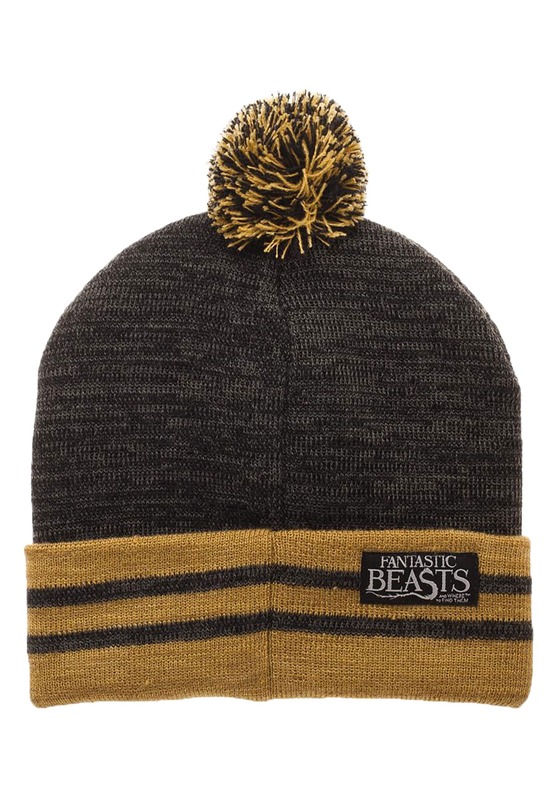 The Fantastic Beasts beanie is a one-size-fits-all hat, perfect for both men and women. The acrylic stocking cap has a gray and mustard-colored pom-pom on the top which matches the striped fold-over cuff on the bottom. Finally, an embroidered 'Newt Scamander' patch is sewn directly to the cuff. A Newt Scamander costume is a great choice for Halloween. Use this hat to top off the teal trench coat, brown pants and to stay warm and in-character throughout the night.